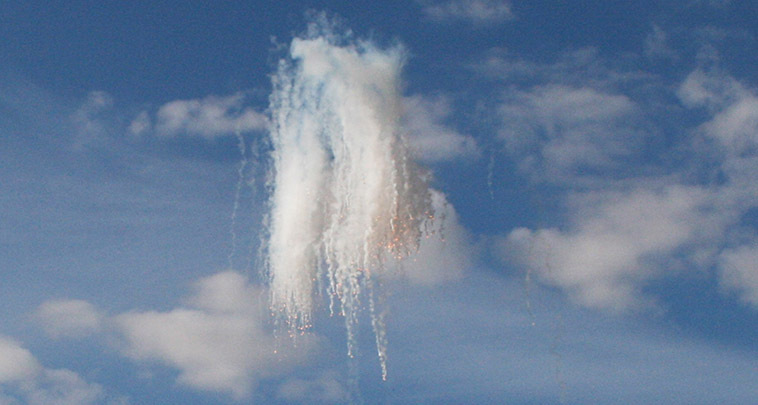 In order to counter the latest threats, recent technological developments have significantly enhanced countermeasures' credibility and effectiveness. 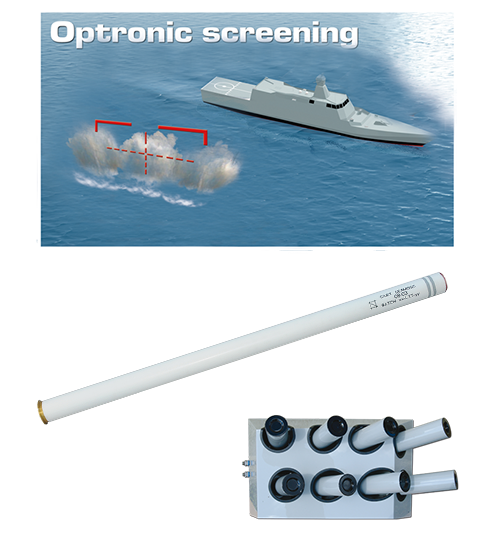 In fact, the latest generation of missile homing devices can instantaneously analyse the target's spectral, spatial and temporal data and reject any radar echoes or infrared radiation that are not emitted by a ship's signature. 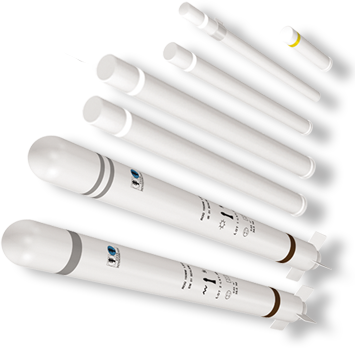 Most of today's missiles are equipped with ECCM (Electronic Counter-Countermeasures) capabilities that reject standard decoys employing metal dipoles (chaff) or hot spot and non spectral infrared compositions. 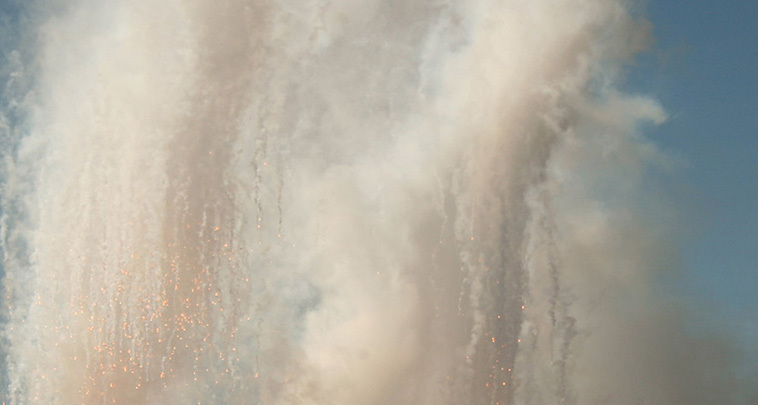 These factors have prompted us to invest in R&D to offer the Lacroix new generation naval decoy range: SEACLAD "SEA Borne Countermeasures Lacroix Advanced Decoy". 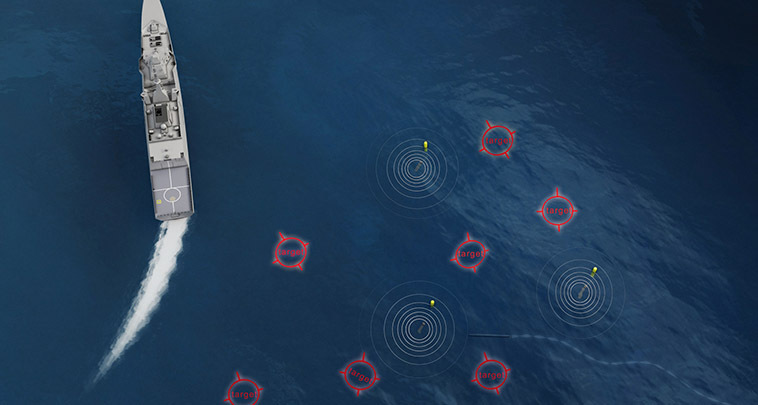 LACROIX's capability in naval countermeasures is based on proactive innovation to meet customer requirements. 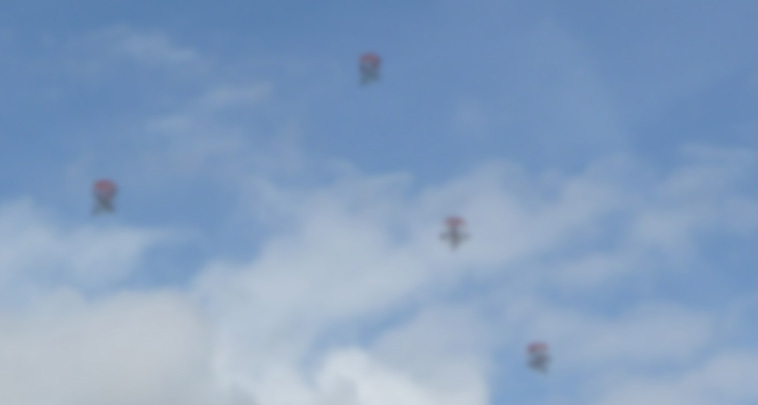 Proven solutions use predictive tactical and technical models, updated and validated by evaluation programs and sea trials. 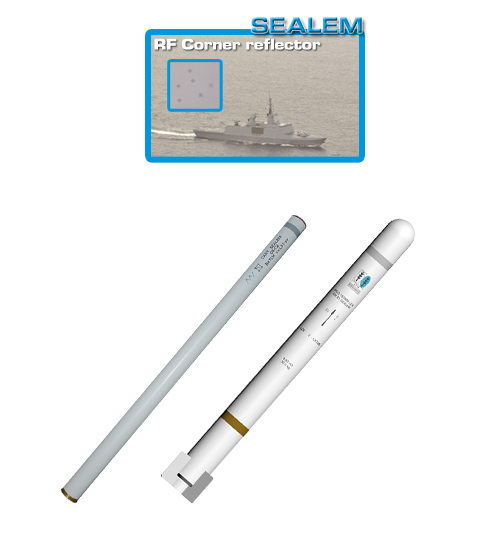 In the field of RF today, existing technology is being replaced by structural elements whose signature and profile are very close to that of ships. 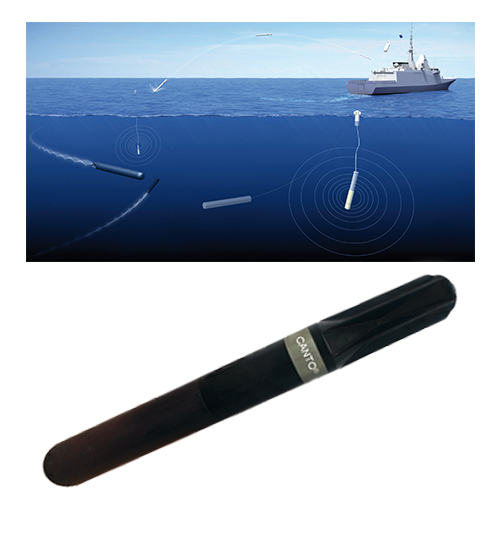 CANTO®, developed by DCNS, is an all-in-one broadband active acoustic emitter acting both as a jammer for dilution and as a false target generator for confusion. CANTO® is effective against both active and passive sonar. 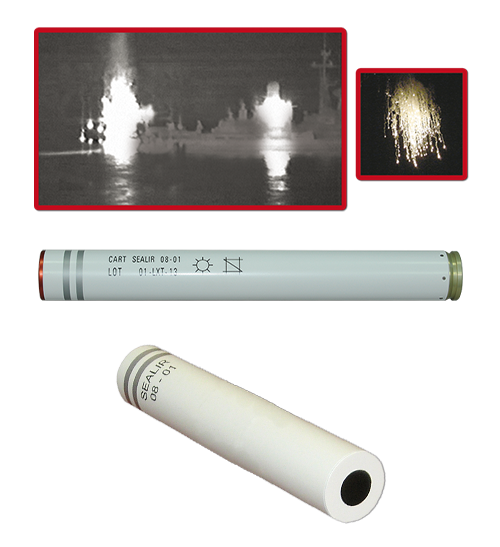 LACROIX's SYLENA system dispenses the DCNS CANTO® broadband acoustic torpedo countermeasure, utilizing a SEALAT pyrotechnic mortar.